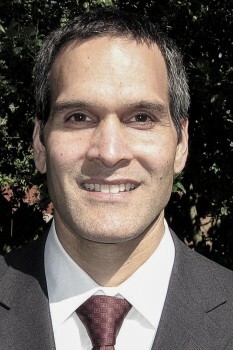 John Villasenor is a professor of electrical engineering, public policy, and management at UCLA, a nonresident senior fellow at the Brookings Institution, and a National Fellow at the Hoover Institution. In addition, during the current (2015-2016) academic year, he is a visiting professor at the UCLA School of Law. His work addresses the intersection of digital technology with public policy and the law. He is also a member of the World Economic Forum’s Global Agenda Council on Cybersecurity, a member of the Council on Foreign Relations, and an affiliate of the Center for International Security and Cooperation (CISAC) at Stanford. Professor Villasenor’s research addresses the technology and policy challenges associated with trends such as the move to cloud computing, the globalization of technology product design and manufacturing, advances in digital communications and electronics, and the increasing complexity of today’s networks and systems. Prior to joining UCLA in 1992, he was with the NASA Jet Propulsion Laboratory in Pasadena, California, where he developed methods for imaging the earth from space. He received the B.S. degree in 1985 from the University of Virginia, his M.S. in 1986 from Stanford University, and Ph.D. in 1989 from Stanford, all in electrical engineering. For more information, please visit Professor Villasenor’s personal page.